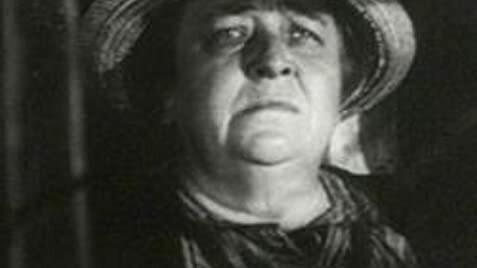 Ma Joad: Oh, Tommy, they'd drag you out and cut you down just like they done to Casy. Ma Joad: Tommy, you're not aimin' to kill nobody. A marvellous production of Steinbeck's epic. 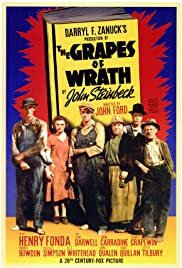 Henry Fonda's portrayal of Tom Joad captures perfectly the humanity and compassion of the Steinbeck character, an ex-con who breaks his parole conditions by joining his family in their epic journey across the southern US to a "better life" in California. This is not the usual Hollywood fare. Tragedy and betrayal beset the Joad family from the outset. But it is nonetheless an uplifting movie. Spirit, compassion and tenderness mark them out. Fonda's role is particularly understated, and we see, as in Steinbeck's masterly epic, the maternally robust figure of Ma holding the family together. The performances all round are wonderful, and Ford's direction and sense of space under the big sky of the Midwest is breathtaking. This film is now largely a testament to the time in which it was set, but like the war movies that were soon to follow, a story that needed telling lest we forget. 87 of 105 people found this review helpful. Was this review helpful to you?